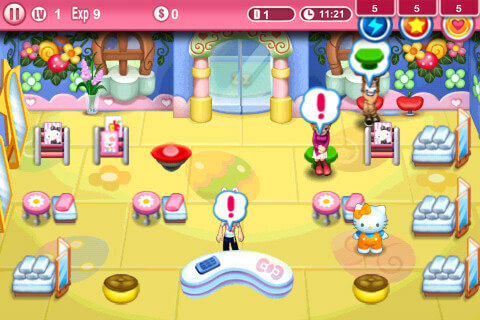 Playing, for example, on a tablet with the Android operating system is fascinating not only for boys, but also for girls. And the games are very diverse and interesting. They develop thinking and ingenuity. And these are important qualities not only for studying, but also for everyday life. For girls today there are games with dressing up dolls, searching letters on images, traveling through various mazes and many others. Arcade about the farm ("Happy Days"). All proposed games can be downloaded from the suggested links in the Android Play app store - Google Play. In the first game for girls, hairstyles are created, makeup is applied to characters that are completely diverse. There are employees in the cabin, and they need to be managed. The better they cope with their responsibilities, the greater will be the influx of customers and the profits of a virtual enterprise. In the game, everything, as in life, has a waiting room, ticket office, seats in the cabin, etc.. This is also a business, albeit not real. For the overwhelming number of girls, the rest of their lives will be spent in work And the skills they get in the game. Not everyone can be an actress or a mannequin. We'll have to work and hands. This b is taught by this Android application. Download this application, and absolutely free you can follow the link above. The name of the second game “Farm, Merry Days” says that you have to work in agriculture, build enterprises, complete tasks, care for animals. It is even interesting, for example, chickens graze and carry eggs. A truck arrives and takes products to the market. Money appears. They should be spent wisely, otherwise you will “burn through”, you will go bankrupt..
Needless to say, how important it is today to be able to efficiently manage! In agriculture in the first place - this "engine of the economy." Similar games on Android teach this case, albeit not really. For girls, the household, when they grow up, will be closer, since they have passed this science in the game. You can download the link above. Flowers adore women, and for girls, these plants are also not indifferent. The Flower Room game begins with the planting of flower seeds. Further care gives them results. 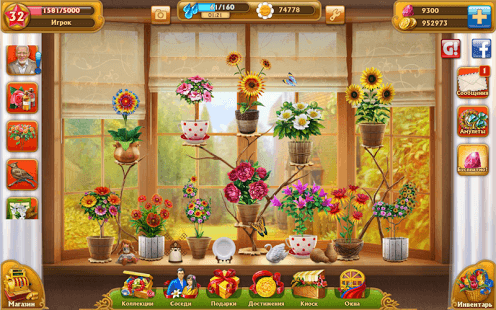 Growing and selling flowers in the game, you can earn income. There is the possibility of crossing plants, the resulting hybrids are unusual. Choosing pots for planting, and their great diversity, it is necessary to relate the size of the future flower with them. Selling grown flowers is a profitable business in real life. Games on the tablet with the Android operating system on this topic lay in the minds of girls the possibility of practical application in the future of this skill. It is really useful for someone. Children love to visit the zoo, if they live in the city. For girls, caring for animals is enjoyable, even in the game. In the "Animals" is the possibility of this. Choosing any one of the 20 animals, it is necessary, for example, to feed it in the wild, each animal has its own habitat. By purchasing additional content for a real fee, you can add another two dozen animals and an expanded number of mini-games..
Caring for home animals is difficult. Therefore, there are so few farmers in our country. Games with the participation of animals develop a child’s desire to take care of their pets, instill affection for them, albeit on Android for now. All the good qualities of people are laid from childhood. In the process of life, sometimes they are overestimated, but loyal attitude to animals indicates whether a person has grown good or not. There are a lot of bad people in the world, it’s time to bring up good ones.